Native Instruments released this week Komplete Kontrol v.2, a major free update for their clever plugin controlling software. This update is not a surprise because they company already teased this upcoming release at NAMM 2018. 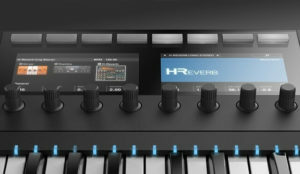 With the new version, users can now control also effect plugins directly with the Komplete Kontrol keyboards and software. Beside this, Kontakt 5 & Maschine received also small updates that enhance the workflow with the new version of Komplete Kontrol. On top, they launched a nice deal on Battery 4. NKS FX brings the familiarity and immediacy of the NKS experience to FX plug-ins. Full integration with the Native Browser and intelligent parameter mapping via Native Map. Load any VST FX plug-in via the Plug-in Bar, customise mappings, and save user presets in the Native Browser. Channel Record Arm state indicators on the KOMPLETE KONTROL S-Series MK2 Mixer page in Ableton Live. Improved: Behaviour of KOMPLETE KONTROL S-Series MK1 and MK2 PRESET UP / PRESET DOWN buttons is now consistent in all modes. Fixed: Intermittent crash when navigating tracks in Logic Pro X. Fixed: Intermittent crashes when quitting KOMPLETE KONTROL. Fixed: Master and Output channels are no longer greyed-out on the KOMPLETE KONTROL S-Series MK2 Mixer page in Logic Pro X. Fixed: Level meters match the software on the KOMPLETE KONTROL S-Series MK2 Mixer page in Ableton Live. Fixed: KOMPLETE KONTROL remembers hosted plug-ins that are missing on the system. 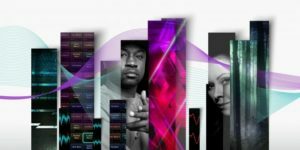 All Native Instruments effects are now NKS-ready, with effects from other leading manufacturers gaining support from later this month. The Komplete Kontrol 2.0 software update is now available on Native Access. 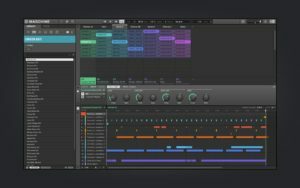 Beside the big update for Komplete Kontrol, Native Instruments has also released updates for their sampler Kontakt 5 and beat-production software Maschine. The new version of Kontakt (5.8) adds a text filter to the search of the contents of the libraries tap and allows you to sort the contents alphabetically as well. Also various improvements and fixed are included here. The new update for Maschine (2.7.3) brings improvements and fixes to the audio plugin and Maschine MKIII. Important to know is that a 32-bit version is no longer available. In the same, the company also launched a limited time sale where you can get Battery 4 drum sampler for free. If you purchase two expansions (priced at 49€ each), you get Battery 4 for free. Expansions give you everything you need to make a track in your genre, including synth presets, drum kits, samples, loops, and more. Choose from over 50 Expansions, each expertly curated by leading sound designers and artists at the top of their game. This offer expires May 1st, 2018. To benefit from this deal, simply add two or more expansions and Battery 4 to your cart, and 199€ will automatically be deducted from the total. 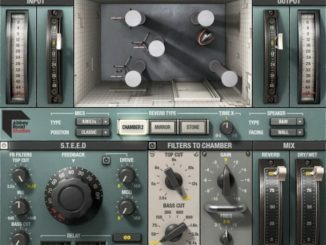 Waves Has Recreated The Sound Of The Abbey Road Studio Two Echo Chamber In A New Reverb Plugin! SPC Plugins Released ArcSyn Synthesizer Plugin 3.0 Update! 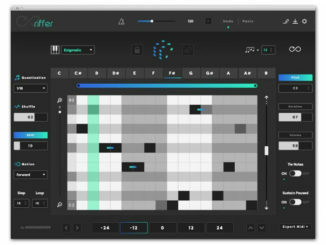 Audiomodern’s Riffer Is An Intuitive MIDI Tool For PC/Mac/iOS That Generates Random Riffs!